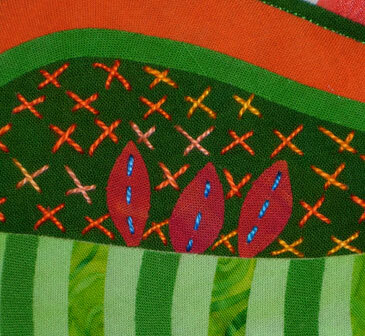 A favorite embroidery stitch for building pattern on fabric is the Cross Stitch. Randomly scattered or clustered together, the Cross Stitch builds texture and adds “X” motif to the surface design of fabric. 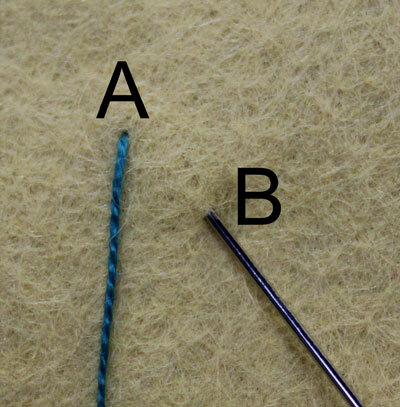 Here’s how to make Cross Stitches:Come up at point A. Insert the needle at B about 1/4’’ down and 1/4’’ to the right of A. Draw the thread through the fabric. 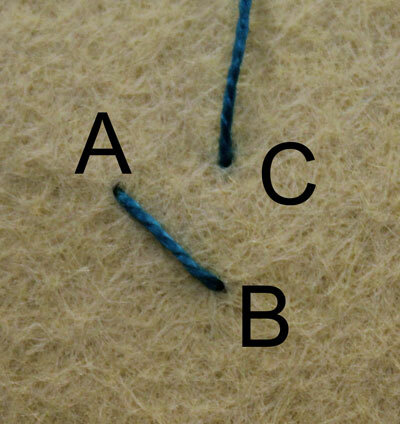 Bring the thread up at C about 1/4’’ up from B and 1/4’’ to the right of A. Cross over the AB stitch and insert the needle at D about 1/4’’ down from A and 1/4’’ to the left of B. 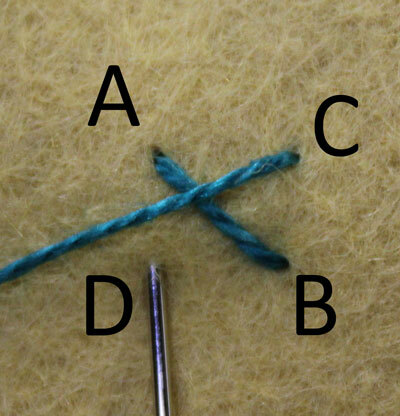 Draw the thread through the fabric to make an X. 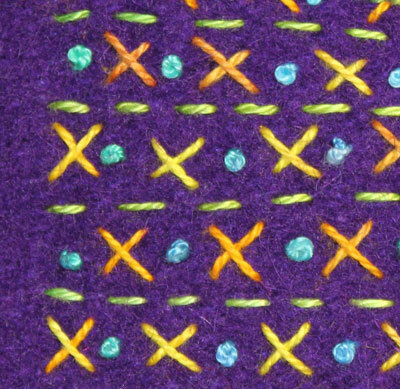 Combine them with other stitches to make exciting patterns. Whether you line them up or scatter them around like jacks on the playground, Cross Stitches make bold texture on fabric.